Mrs. Ambrose has a Bachelor of Science degree in Mathematical Sciences with an emphasis in Computer Science from the University of North Carolina, Chapel Hill. She worked as a computer programmer and developed programs for NOAA, NAVOCEANO, and NOAA's Office of Oceanic and Atmospheric Research at the John C. Stennis Space Center in Mississippi, before moving to Ann Arbor, Michigan to be a stay-at-home mom and raise her four children. Her passion is to help students learn and attain their full potential despite any learning differences. Two of her children are graduates from West Highland and one is currently enrolled here. She enjoys gardening, going for walks, hiking in the mountains, and spending time with family and friends. Mrs. Austin is an Alumnus of WHCA class of '04. Her passion is music and worship. Lisa has been teaching private piano lessons for over 15 years and voice for more than 10. Lisa has been teaching PE at WHCA for three years. She has a love of physical fitness and has enjoyed seeing the kids grow in their health and physical ability. Lisa has a heart for West Highland and a desire to see the students grow in a Christ-centered environment. Mrs. Barber has a Bachelor of Science degree from Eastern Michigan University and an Associates degree in Elementary Education from Washtenaw Community College. Barb worked as a substitute teacher at an International school when serving for eight years in Malaysia and speaks fluent Malay. While there, she discovered her passion for teaching. She is a certified Dyslexia Consultant through Bright Solutions, Inc. and has been tutoring with the Barton Dyslexia System since 2012. Barb is married and has five children. One of her children currently attends West Highland and two have graduated from West Highland. Mrs. Bretzlaff has a degree in culinary arts. She has been a caterer for 15 years, a recipe developer for two of those years, and has taught a variety of cooking classes over the years. She has a passion to help everyone learn to love to cook, have fun in the kitchen and to integrate cooking into a healthy lifestyle. She is also a coach for a youth mountain biking club in Milford. Other passions of hers include reading, gardening, rock collecting, fitness and mountain biking. She is married and has two children, Joel and Miriam. Mrs. Diller attended Taylor University for Elementary Education. She has been teaching homeschool co-op classes for over 10 yrs. She enjoys teaching science, history, geography and many other subjects. She has been tutoring with the Barton System for three years. Mrs. Diller has worked with special needs students in a variety of settings during her teaching time. She has six children, four of whom attend West Highland. She is a huge supporter of our robotics programs and is currently the head coach for junior high and an assistant coach for the high school and upper elementary teams. Dr. Dorais received his Bachelor of Arts degree and Masters degree from the University of Michigan and his Doctorate from Liberty University. He has taught in public and private schools for over 20 years. Dr. Dorais is married and has two children, Ava and Ethan, who attend WHCA. Mrs. Jankowski is the English and Drama teacher for the middle and high school. She received her undergraduate degree in English from Michigan State University. She obtained her teaching certification in Secondary English and Drama from the University of Michigan Flint. Finally, she received her Master’s in English from U of M Flint as well. Mrs. Jankowski is a voracious reader and believes everyone should enjoy literature. Her motto is you just have to find the right book! Mrs. LaPeer has a Bachelors degree in Medical Technology with a Computer Science minor from Michigan Technological University. She has been involved in music since she was a child, serving as a primary violinist in the Keweenaw Symphony while at MTU; serving as a violinist, piano accompanist, and worship leader on many church teams; and performing lead roles in numerous musical theater and operatic productions. She has been teaching Praise Band for 12 years and directing youth praise bands for almost a decade longer. She is passionate about using music as a tool to share Jesus. In addition to providing worship music for Friday Chapel service, her goal is to equip her students with skills that they can use either in the mission field or in ministry. She has 3 children, 2 of whom are WHCA alumni (2008,2012). Her family is very active in Missions and she has served with teams in India, Honduras, Nepal, Nicaragua and The Dominican Republic. Mrs. Matthews joined the staff after leaving a career as a software quality tester. She provides support to the school in a variety of areas including finance, enrollment, office and IT support. She has a passion to serve and is eager to help others. Mrs. Matthews is married with two sons currently enrolled at West Highland. In her free time she enjoys camping, kayaking, fishing and crochet. 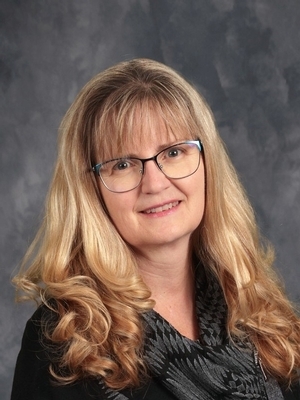 Mrs. Pearson earned her Bachelor of Arts degree in Art Practice, an elementary teaching degree, and a Masters in Reading Instruction from Michigan State University. She has over 20 years teaching experience at the elementary, middle school and high school levels. Mrs. Pearson has a passion for God, a passion for teaching, and a passion for children. Mrs. Purdy is a graduate of Eastern Michigan University. She is certified to teach secondary Math and K-12 Physical Education. She has over twenty years teaching experience with the last two being here at WHCA. She believes anyone can be successful in math when enough effort is applied. Mrs. Torres is our amazing Spanish teacher. She has 14 years of experience teaching Spanish. She grew up speaking the native language of her parents in Puerto Rico. She has a heart for the students and wants to teach them Spanish, the right way! 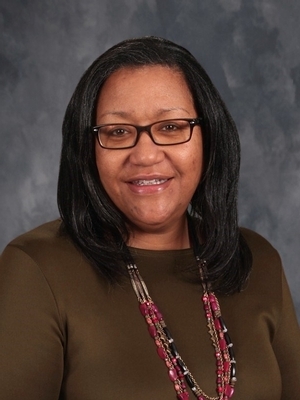 Mrs. Whitted earned her BS in elementary education with minors in science and social studies from Eastern Michigan University. She and her family were missionaries in Mexico for five years. Her desire is for her students to realize that God has an amazing plan for their lives and for them to understand that a life lived for God is incredibly fulfilling. 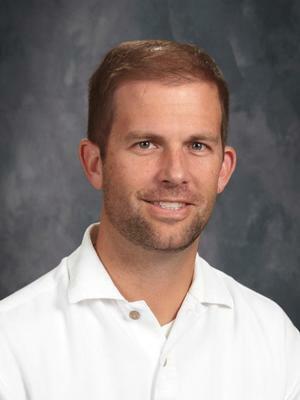 Mr. Williams is certified K-8, with a major in mathematics and a minor in science and language arts. He is currently pursuing a Master's Degree in Technology Integration in the Classroom. He and his wife, Kaye, are leaders in the children's classes at their church. Mrs. Wilson graduated from the University of Detroit Mercy with a Bachelors degree in Chemistry. She worked as a Chemist for several years before choosing to stay home to homeschool her children. She has over 20 years of teaching experience and has taught at homeschooled co-ops, public, private and charter schools. She is very passionate about students applying critical thinking skills to their daily lives and being problem solvers. She believes that every child has the ability to be great at something and seeks God’s hand to help unfold it. She previously taught several high school science classes at West Highland and is currently our Robotics Program Administrator and High School Student Advisor. She has a passion to help students find and apply for scholarships and grants for college.